Size Choose an option1"1 1/2"2"2 1/2"3"
The HSS spring-loaded relief valves are commonly used for hygienic pressure relief of a piping system or pump. 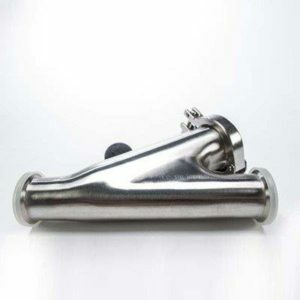 Hygienic in design and manufactured from 316 stainless steel (304 non-wetted parts), the valve diverts product flow when the product pressure exceeds a manually adjusted set point. The metal stem plug of the relief valve is held in the closed position by manually adjusted spring tension. As the pipe line pressure increases beyond the spring’s relief set point, the stem plug is forced open, allowing pressure to be relieved through the discharge port. As the pressure lowers below the spring set point, the plug will return to the closed position. 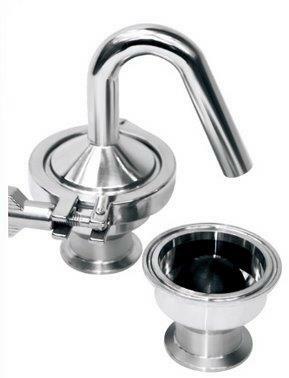 The compression valve is operated by means of a “tee” handle turning mechanism. 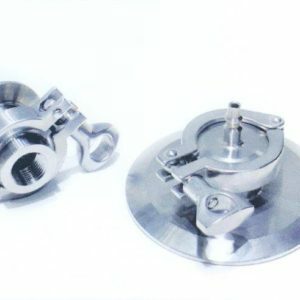 This allows the valve to gradually open and close. 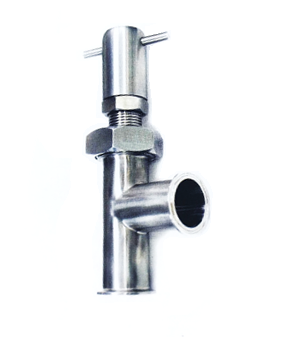 The HSS relief valve is used for hygienic pressure relief of a piping system or pump. 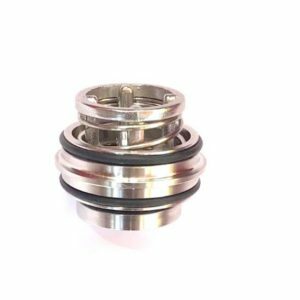 Diameters: Available from 1” – 3” OD. Materials: All wetted parts are manufactured from 316L Stainless Steel. Other parts 304. Specification: US3A, Weld, RJT, DIN, SMS, ISO, IDF. Valve Ends: Clamp, Weld, Male, Female, Threaded. Max Working Pressure: 6 bar (85psi).